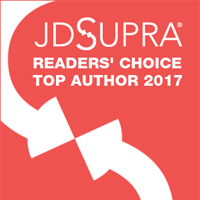 Richard Reibstein is the publisher of this legal blog, which has been, since its inception in 2010, the only legal blog in the country dedicated exclusively to the subject of independent contractor compliance and misclassification. The blog addresses current legal issues involving compliance with federal and state labor, tax, benefits, and other laws impacting the use of independent contractors, and the defense of misclassification claims and class actions, audits, investigations, and administrative proceedings by the IRS and state tax and workforce agencies including unemployment and workers compensation. The publisher offers informational and educational “takeaways” for businesses to enhance their independent contractor compliance and minimize misclassification liability arising from their use of independent contractors as part of their business model or to supplement their workforce. The publisher has presented more than two dozen public seminars, webinars, and presentations since 2008 and has written more than three dozen informational articles on independent contractor compliance and misclassification. The publisher has posted on this legal blog more than 225 comprehensive blog posts on court cases, legislation, regulatory initiatives, and newsworthy matters involving independent contractor compliance and misclassification. The publisher’s insights expressed in blog posts are based on his extensive and varied experience in this niche area of the law. He has represented over 90 clients in an array of diverse industries using various business models including on-demand and the sharing or gig economy. The publisher has represented Fortune 500 companies as well as mid-size and small businesses around the country concerned about the risks of independent contractor misclassification liability and/or committed to a higher state of compliance with independent contractor laws. Insights, commentary, and “takeaways” in blog posts are based on the publisher’s experience in restructuring and re-documenting independent contractor relationships to enhance compliance with applicable independent contractor laws; defending national, regional, and local companies before federal and state administrative agencies and the courts including single plaintiff and class action employee misclassification claims; and providing due diligence as to the independent contractor misclassification exposure of companies that are the subjects of mergers, acquisitions, and investments. The publisher is a graduate of the George Washington University Law School. After two years of government service with the U.S. Department of Labor and National Labor Relations Board, the publisher began his career in the private practice of law. From April 2009 until June 2017, the publisher was a partner with the law firm of Pepper Hamilton LLP. From March 1999 to April 2009, the publisher was a partner at the law firm of Wolf Block LLP. The publisher, Richard Reibstein, is currently a partner with the law firm of Locke Lord LLP, and has been a partner at that firm since July 2017. He created and co-heads Locke Lord’s Independent Contractor Misclassification and Compliance practice, an interdisciplinary group of over 20 labor and employment, employee benefits, tax, and class action lawyers. Janet Barsky is a Senior Counsel in Locke Lord’s Labor and Employment Practice Group, resident in the New York office. As a member of the firm’s Independent Contractor Compliance Practice Group, she focuses her practice on independent contractor compliance counseling and litigation. Since July 2011, Ms. Barsky has been enhancing the independent contractor compliance of scores of companies, both large and small, by restructuring, re-documenting, and re-implementing their relationships with independent contractors. Ms. Barsky also has defended businesses in administrative and regulatory proceedings, audits, and investigations by the U.S. Department of Labor, the IRS, and workforce agencies in states across the country. In her role as managing editor of this blog, Ms. Barsky contributes to each of the posts and compiles the monthly news updates for this blog, monitoring IC misclassification and compliance court cases, regulatory actions, and legislation throughout the U.S.